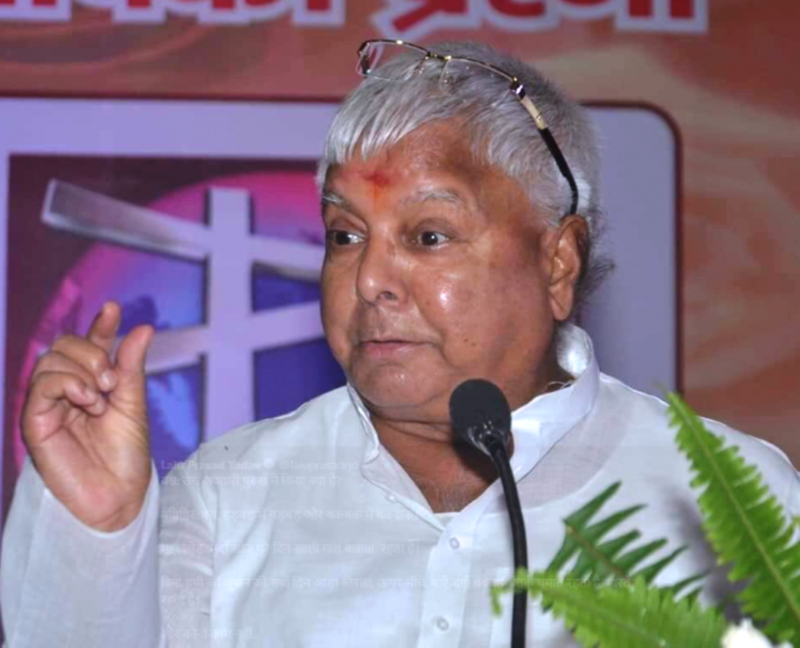 PATNA: RJD chief Lalu Prasad on Wednesday wrote an emotional letter to the people of Bihar asking them to stay united at this crucial juncture, moments after he was denied bail by the Supreme Court on Wednesday. Prasad is currently lodged in Ranchi jail. The sudden release of the letter, however, has raised one pertinent question—the RJD president himself was not confident of getting bail from the court and hence had already got his message printed well in advance. Or, how was it possible to print and circulate his letter within hours of the SC rejecting his bail? In his three-page letter written from jail, Prasad has appealed to the masses to stay united to protect their threat to their reservation rights. “We all need to have the passion of ‘do or die’ to chase of anti-reservation and anti-Constitution prime minister Narendra Modi. You have to show the spirit of Lalu Yadav in this great battle to save the Constitution and your rights,” Prasad has mentioned in his three-page letter being widely circulated among the masses. Stating that “only he is in jail and not his thoughts”, he asserted he won’t allow the “destructive forces” to succeed in his attempts. “You will be aware through the newspapers and TV news channels that how the Modi government tried to scrap reservation? How our Dalit sons like Rohith Vemula were forced to commit suicide due to harassment? How the efforts were made to weaken the law regarding atrocities on dalits?” asked Prasad. “Think what will happen if they come to power again?…If you miss this time, you will miss for ever,” he said.